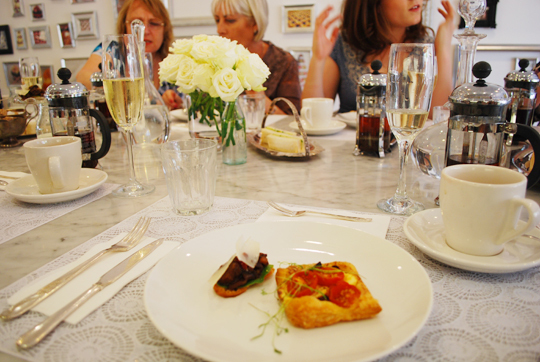 A gourmet foodie high tea in an intimate setting. 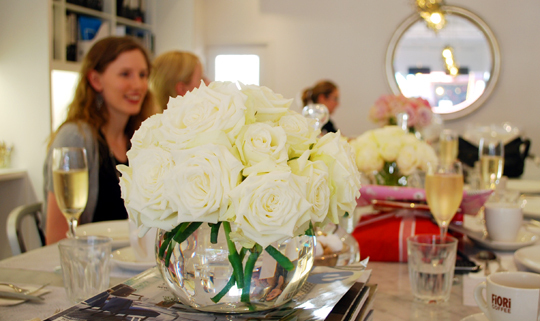 High Tea Society had the pleasure of having high tea at Rochelle Adonis in Perth. 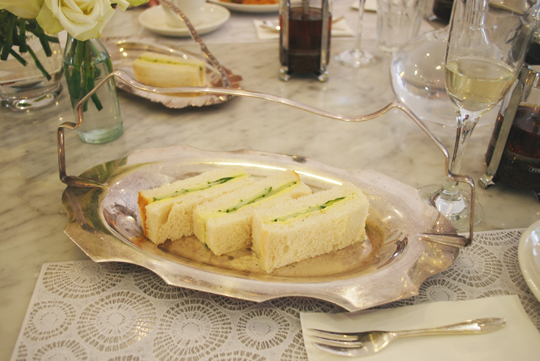 High Tea Society had the pleasure of having high tea at Rochelle Adonis in Perth. 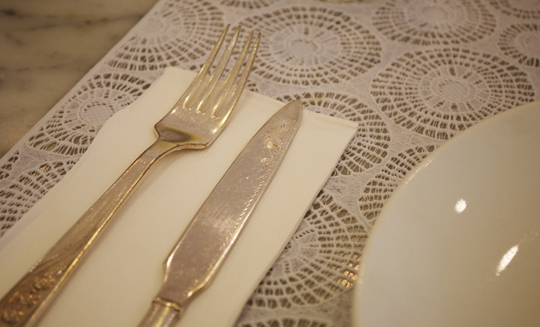 The dining room has an industrial yet girly feel. The room is filled with light and features a long marble top table with framed photos of specialty cakes on the walls. 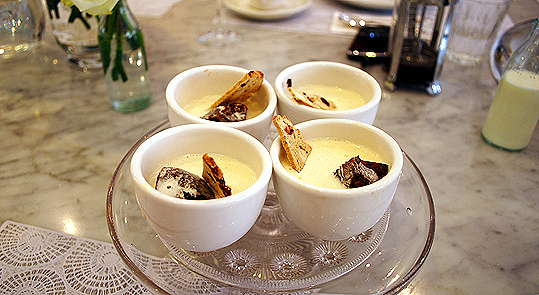 Every high tea is different as the menu made up of seasonal produce (unique) each time, but will always feature two courses, a sweet followed by savoury. This is a sweet surprise on Brisbane Street, at the far end of Northbridge, near Hyde Park. Fiori plunger coffee and loose-leaf teas. The tea ware used is a collection of vintage pieces that have been found by Rochelle. 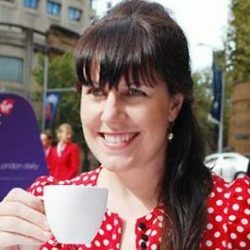 Rochelle Adonis trained as a pastry chef, worked in London and Vienna, has prepared cakes for the British and Saudi royal families and was Head Pastry Chef in Matt Moran’s Aria restaurant in Sydney. Rochelle’s Northbridge studio opened in 2008. High Tea at Rochelle Adonis offers wonderfully prepared food with great attention to detail, this is a gourmet and intimate high tea experience, but food portions are smaller than other high tea venues. The venue has a capacity of 20, so is ideal for a group events. As the seats are high stools it may not be suitable for people with mobility issues. High Tea Perth – find more experiences in our High Tea Venue Directory. Wednesday – Saturday, 10am - 4pm. $45 per person plus, optional corkage fee of $10 if you wish to byo champagne.